The compact SC 1 EasyFix Premium 2-in-1 steam mop cleans without using any chemicals. The device is excellent for cleaning common household hard surfaces such as fittings, tiles, hobs and exhaust hoods. With the extension hose, which is included in the Premium package, even hard-to-reach corners, cracks and niches can be cleaned perfectly. 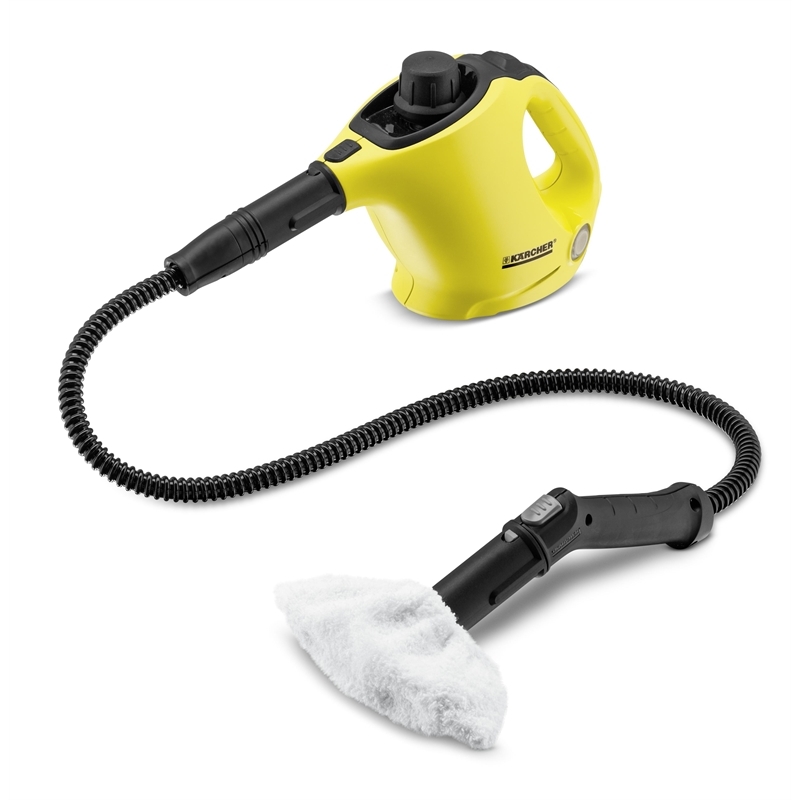 Thorough cleaning with the Kärcher steam cleaner removes 99.99% of all common household bacteria from common household hard surfaces. Even stubborn dirt and grease deposits are eliminated in no time. The compact and handy device is ideal for straightforward intermediate cleaning and also allows for especially space-saving storage.